The ongoing story coming out of Flint, Michigan is grim. 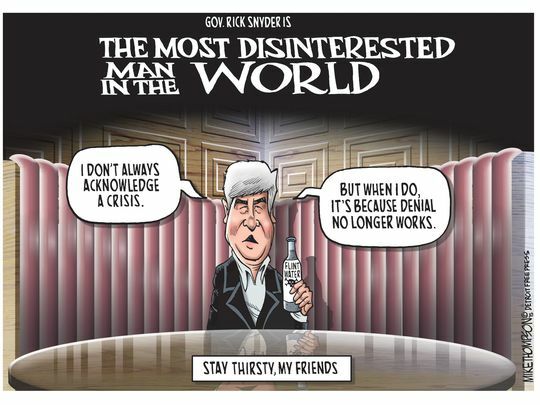 It was a wholly preventable crisis, and it’s a story of “what ifs?” What if the state’s governor had respected the democratic process over autocracy and not replaced the elected government of Flint with his own appointed emergency manager? What if state and federal political leadership embraced a strong sense of commitment to infrastructure improvements rather than austerity? What if the Michigan Department of Environmental Quality had heeded warnings issued nearly a year ago that the corrosiveness of Flint’s water was causing lead to leach into the system? What if they had added anti-corrosive agents to the water from the very beginning? The counterfactuals could go on and on. Unfortunately, what did happen was that an ethos of slashing budgets overshadowed responsible governance, and now Flint faces the daunting task of dealing with the irreversible consequences. And what of those sought after savings? Turns out that the champions of fiscal prudence have racked up a generation of increased costs in Flint that will not be easily met. Even though Flint has gone back to the Detroit water service, the harm has already been done. Lead will continue to leach into the system for some time, and rehabilitation efforts will not be cheap. The human cost is far greater, and for the exposed, the injuries will be even more persistent; the social expense more steep. Lead exposure, especially in children, causes serious damage. Even if the immediate exposure isn’t high enough to cause coma, convulsions, or death, the long term effects can be seriously debilitating and permanent. Those effects include mental disability, diminished intellectual capacity, decreased attention span, anti-social behavior, and toxicity in reproductive organs, just to name a few. The neurological and behavioral effects of lead contamination are thought to be irreversible. Flint is therefore looking at a future of greater expenditures for long term health care, special education, mental health services, and probably their justice system, too. Mayor Karen Weaver is right to say that the city and the state cannot possibly meet the costs of this man-made disaster without financial assistance from the federal government. So now the national tax-paying public at large becomes the bearer of the cost-cutting irresponsibility of un-democratically elected officials in Flint. They have externalized their incompetence onto us all. Okay. So taking Flint off of the Detroit system in favor of using the nearby river for drinking water was a mistake. But why was that water corrosive enough to eat away at the lead pipes and lead soldering in the first place? The likely answer: road salt. At the risk of recalling painful memories from high school chemistry, the answer lies in ions. When it’s dissolved in water, salt separates into its sodium and chloride ions. The runoff from deicing roads raises the concentration of chloride ions in nearby water sources, thereby making them more corrosive. This is more pronounced in inland water systems (like rivers and streams) than it is in more expansive sources like the Great Lakes. When the town’s emergency manager decided to save money by using the Flint River instead of the Detroit water system (which draws from Lake Huron), he opted for the more concentrated corrosive source (as much as 8.6 times more corrosive). As a result, the water began to eat away at the lead in old supply lines and in the older soldering used in residential copper pipes. Some measurements in Flint found lead levels high enough to classify the water as toxic waste. Thanks to the the salt, though, the winter roads are least passable enough for residents to drive to the store and buy a few cases of bottled water – for those with enough money, that is. 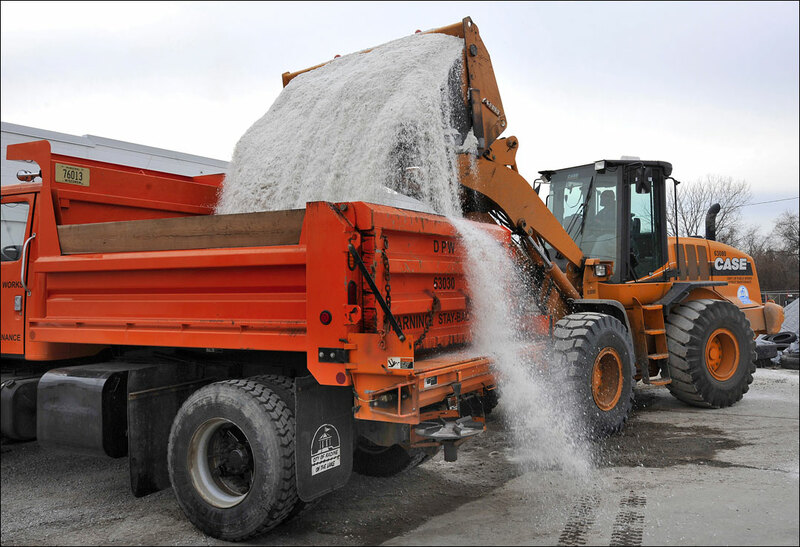 Per person, Americans dump about 130 pounds of salt on the roads during the winter months. 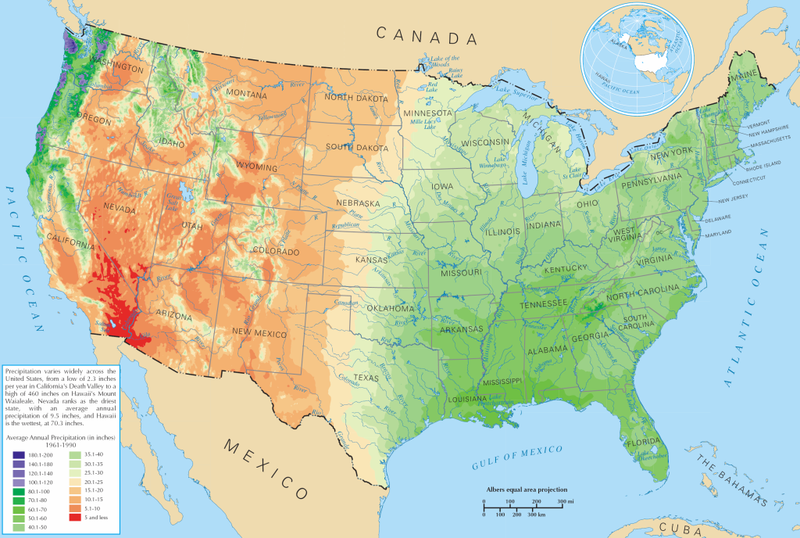 Of course, most of that is concentrated in the nation’s snowiest, most heavily populated areas. These areas encompass pretty much all of the Great Lakes, and therefore the region has been a historically high user of road salt. In fact, Detroit was the first city in the world to apply salt to its roads in 1940, so the cumulative ecological effects of winter deicing – higher concentrations of chloride ions and more corrosive waters – are possibly more pronounced there than anywhere else. Already, warnings are being sounded that it’s only a matter of time before the Great Lakes themselves suffer a similar fate. When that happens, we’re talking about altering the ecology of fifteen percent of the Earth’s fresh surface water. When these altered environments run headlong into politicized funding cuts and neglected infrastructures, the results should be cause for reflection and a more vigorous commitment to the public protection of vital resources. Instead, even in the midst of the Flint water crisis, the GOP led U.S. Congress has passed a bill that would stop the EPA’s bolstered enforcement of the Clean Water Act (the President is expected to veto the bill, thankfully). The situation in Flint is heartbreaking. It represents a failure on many levels – including a subversion of democratic governance and a lack of public investment in infrastructure. But it also holds other, less obvious lessons. The crisis in Flint is ultimately the product of a much broader dislocation between us modern humans and the natural world. We have refused to be inconvenienced by things like weather or distance. We spent the better part of the twentieth century moving our homes and places of recreation further and further from our places of work (although, this is a trend that seems to be reversing in the digital age). We balked at mass public transportation and eagerly adopted an individualized car culture. And when the forces of nature threatened to disrupt our productivity or the speed, ease, and comfort of our mechanized movement to and fro, we invented clever ways to further disregard such antiquated concerns as nature – ways that included climate controls, Aquatred tires, and road salt. By rejecting any limitations – even environmental ones – on either our work or play, we have collectively added to the sorrows of those living in Flint. And now that Flint has garnered the attention of federal disaster relief efforts, we are all paying the price – as we probably should. Je suis Flint. This entry was posted in Bottled Water, Environment, Environmental History, Water on January 18, 2016 by Duncan.